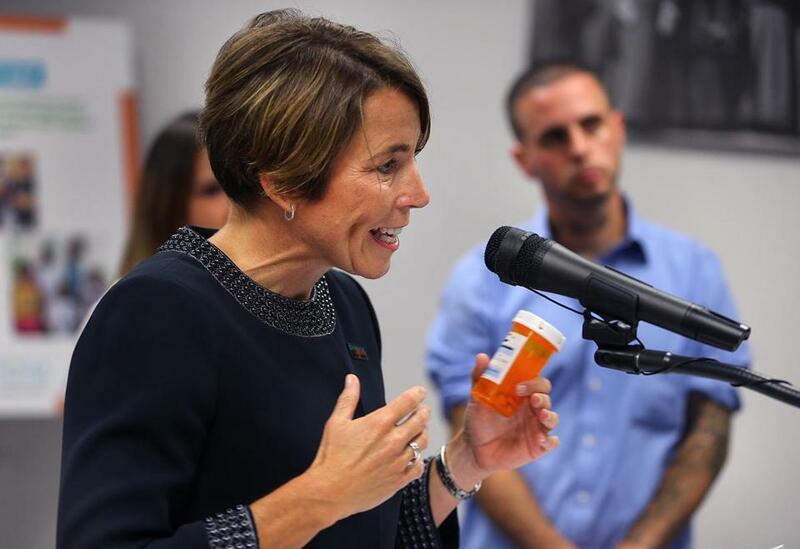 Last September, Attorney General Maura Healey held a CVS prescription bottle as she announced a cash settlement with CVS over improper dispensing of opioids. Now that money has been dispersed in the form of grants for substance abuse programs. Attorney General Maura Healey is distributing $700,000 to school districts and community organizations across the state to provide programs intended to prevent substance abuse among youth. “We will never get control of this epidemic until prevention becomes a priority,” Healey said in a statement. Opioid overdoses kill more than five people every day in Massachusetts; more than 5,000 have died of overdoses in the past three years. Healey visited Braintree on Monday to announce a $20,000 grant to Braintree Public Schools and $13,000 to Weymouth police from her Youth Opioid Prevention Grant Program. The schools will develop an antidrug curriculum for fifth-graders and provide additional training for staff. The Weymouth police plan to hold a prevention program for middle-schoolers. Healey plans to visit Salem, Barnstable, Gardner, and Marlborough this week to announce similar awards. The $700,000 will be shared among 41 organizations, with two-year grants ranging from $10,000 to $40,000. Healey established the Youth Opioid Prevention Grant Program with money that Walgreens and CVS paid to settle charges of improper dispensing of opioids. In January, Walgreens agreed to pay $200,000 after Healey found that some Walgreens pharmacies failed to adequately monitor patients’ drug use patterns and did not use sound professional judgment when dispensing opioids. In September, CVS paid $795,000 after MassHealth, the state’s Medicaid program, reported that CVS pharmacies were dispensing opioids to high-risk patients, and sometimes accepted cash for the drugs when MassHealth refused to cover them. Healey set aside $500,000 of the CVS settlement for the prevention grant program. Her office received 120 applications seeking a total of $4 million. But the fund is now depleted.